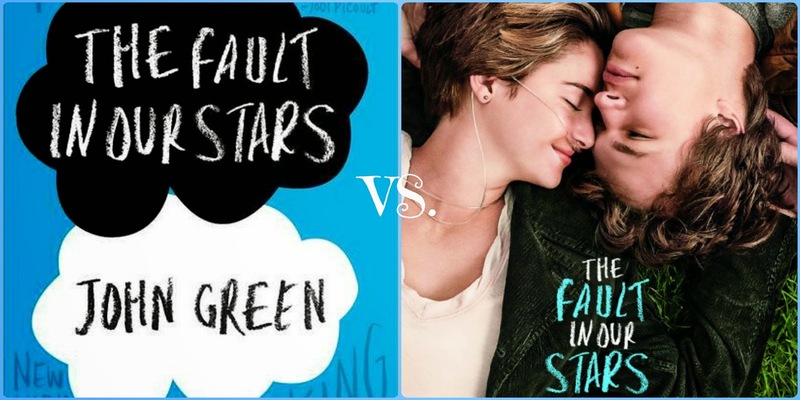 Many of you I am sure have read the book 'The Fault In Our Stars' by John Green as I did. I loved this book as I read it in 2 days and probably cried for a week. Then, I read the book again.. and again.. and again. Alright, so needless to say, I was a big fan of this novel and will probably always love it. When I heard that my all time favorite book was being turned into a movie I had mixed emotions as I am sure a lot of us do when we learn a book is being turned into a movie. The movie came out June 6th, and I stood in line for an hour so that I could go get a seat to see it. I will be reviewing the movie but also comparing it to the amazing story that was first made in writing. I am slightly partial to the book because I fell in love with the characters and the storyline the way I pictured it. However, I could not have found two better main characters to play Augustus Waters, and Hazel Grace. I thought that Shailene Woodley and Ansel Elgort were so fit for the roles. I also felt that the characters emotions and actions from the book were portrayed quite nicely from the writing to the screen. Great acting, casting, and characters. There were of course a couple minor scenes that were left out and several scenes having to endure through some small changes, however, I was so happy to see how on point most of the scenes were. I had pictured several scenes the exact way they were portrayed in the movie which made me very pleased. Overall, I cant say enough good things about this book and movie. I usually am always disappointed by the movie version of my favorite novel, however I was so impressed with how accurate this movie was with the book. I also admired how much the author John Green was behind all of this and how supportive he was, along with how passionate the cast was in portraying this amazing story correctly. I think this all definitely came through in the finished product and I will definitely be purchasing this movie if it comes out on DVD. I recommend you read the book, pack some tissues (okay, a lot of tissues), and then go see this movie!!! Have you seen the movie or read the Fault In Our Stars? Let me know in the comments. As always feel free to email me with any questions on anything! Hope you all found this helpful and enjoyed! Talk to you soon! This book is everywhere at the moment! The film has made it even more popular and practically every blogger I know is reading it! So glad you recommended reading the book first though - I always think watching the film first will spoil a book but reading the book first lets you pick holes in the film!